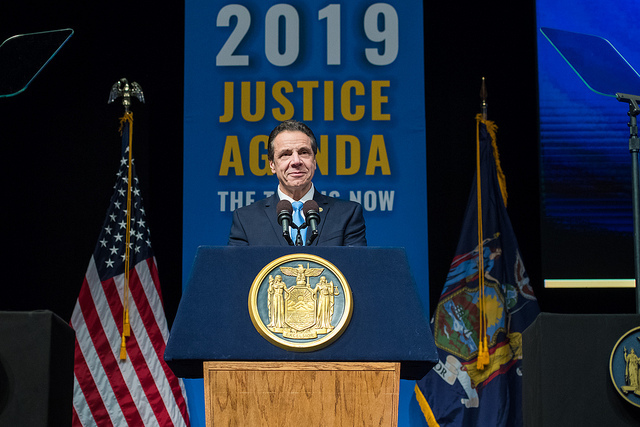 While Cuomo’s move to legalize cannabis will have a positive impact on mass incarceration – his proposal includes sealing the criminal records of those convicted of cannabis crimes – details are scant on how the governor proposes to ensure that the communities that have borne the brunt of New York’s aggressive drug laws in the past will be empowered by legalization. Already across New York, companies owned by wealthy Cuomo donors are making moves to lock up market share and ensure that profits from the new legal cannabis industry flow into their pockets. We found that wealthy people and corporations situated to profit from Cuomo’s about-face on marijuana have given the governor a combined $640,874. Some of Cuomo’s biggest donors are Richard and Robert Sands, the owners of Constellation Brands, one of the largest beer, wine, and liquor distributors in the world. Constellation Brands recently expanded its portfolio to cannabis, acquiring a 9.9% stake in Canopy Growth, a Canadian marijuana and hemp producer in October 2017, which it then increased to 38% in August 2018, just after the New York State Department of Health released its study of the impacts of legalization. 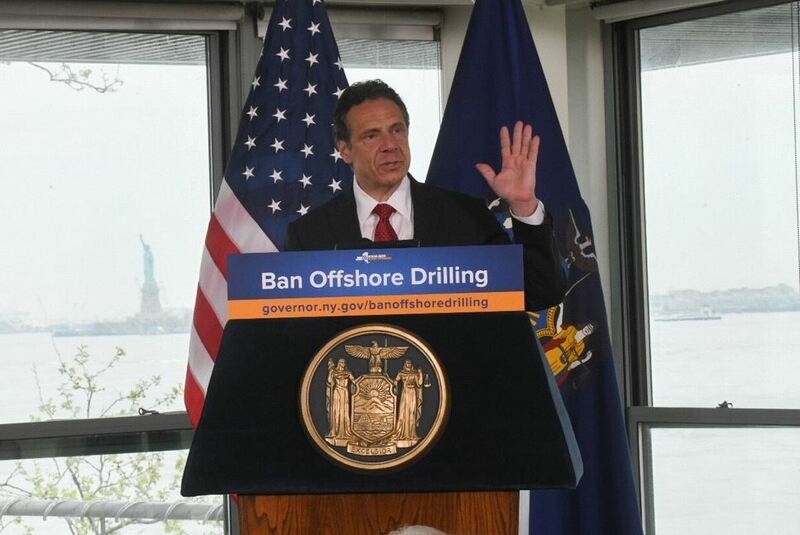 On January 14, 2019, the day before Cuomo’s budget address, Canopy announced that it was investing between $100 million and $150 million in an industrial hemp operation in the Binghamton area. Industrial hemp in New York will be regulated by a newly-created Office of Cannabis Management, but is currently permitted in an extremely limited form – in 2016 the state created 10 licenses allowing universities to grow hemp or to oversee its growth by a private partner. Though Canopy has so far only announced an industrial operation in New York State, the company also grows and processes cannabis for recreational consumption and is planning to get into the market for cannabis-infused drinks. The Sands brothers and their families and companies have given nearly $314,000 in cash and in-kind contributions to Cuomo’s gubernatorial campaigns, including at least twice paying the governor’s travel costs – presumably on a private jet given the $24,000 price tag of one trip. In turn, Cuomo has been a champion of the alcohol industry in New York as well as another issue close to the Sands family – charter schools. Richard Sands is the founder and chairman of the Education Success Network (ESN), which operates several charter schools in the Rochester area. Courtney Winslow, Richard Sands’ step-daughter, is a board member at ESN, and Constellation Brands vice president of community affairs Ginny Clark sits on the board of the Education Success Foundation, an ESN affiliate, as well as Cuomo’s Finger Lakes Regional Economic Development Council. Now that Cuomo has embraced cannabis, his benefactors in the Sands family stand ready cash in. Pioneer Companies, a Syracuse real estate firm whose owners are major Cuomo donors, is also jumping into the hemp business and has already received a boost from the governor. 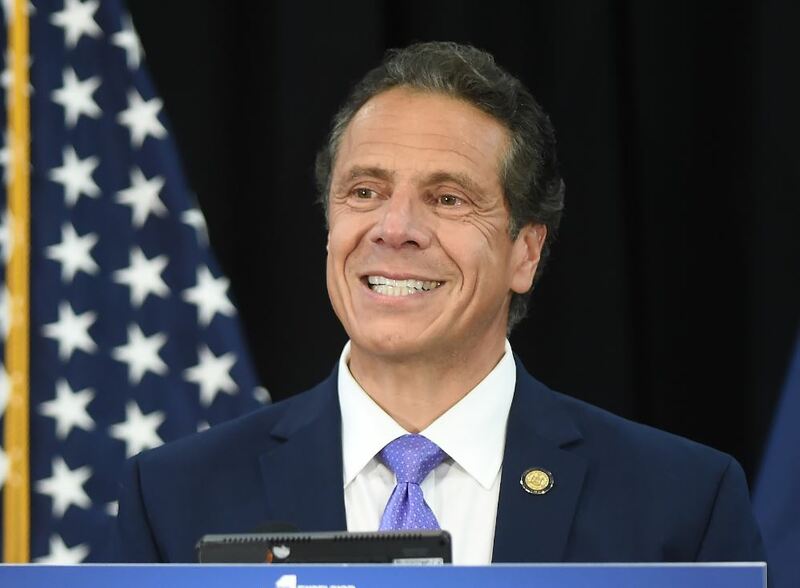 In Cuomo’s 2018 State of the State address, he announced an award of $650,000 to help build a hemp processing facility for Southern Tier Hemp, which was co-founded and chaired by Pioneer Companies Chairman and CEO Michael P Falcone. The award was tied to the issuance of a license – one of 10, as mentioned above – for Binghamton University to study hemp and oversee its growth by Falcone’s company. The Falcone family and their companies have given at least $179,787 to Cuomo’s gubernatorial campaigns in cash and in-kind contributions, including an in-kind donation of more than $17,000 for air travel in 2017. A new player in New York politics is Andrew Modlin and his California-based luxury marijuana dispensary chain MedMen. MedMen entered the New York market in 2017 upon its acquisition of Bloomfield Industries, which was one of only five companies granted a license to sell medical marijuana in 2016 (the number of medical marijuana licenses in New York has since expanded to 10). MedMen is currently in the process of acquiring PharmaCann, which holds another one of the 10 New York licenses, further consolidating the industry. For Cuomo’s 2018 re-election bid, MedMen and Andrew Modlin poured $90,000 into Andrew Cuomo’s campaign coffers and the chatter Adam Bierman reported hearing about legalizing cannabis in New York has proven to be credible. In Buffalo – in the days before Cuomo’s budget announcement, but after it was the established consensus that the governor would move to legalize cannabis in 2019 – a California company announced its intent to build a $200 million cannabis growing and processing operation on the waterfront. That company, Flora California Prime Inc, is owned by Brad Termini, the son of Buffalo real estate developer Rocco Termini. Brad Termini’s father – the Buffalo real estate magnate Rocco Termini – is a significant local donor to Cuomo, giving at least $56,198 to Cuomo’s three gubernatorial campaigns in personal contributions and donations from his network of LLCs and other business entities. Termini is also a major donor to local politicians. Three term Buffalo mayor Byron Brown has received at least $17,033, former County Executive Chris Collins brought in at least $9,833, and current County Executive Mark Poloncarz at least $4,995 from Termini. Rocco Termini also has positions on the board of Buffalo Civic Auto Ramps, a city-affiliated non-profit that controls city-owned parking facilities, and Buffalo Place, the downtown special business district. 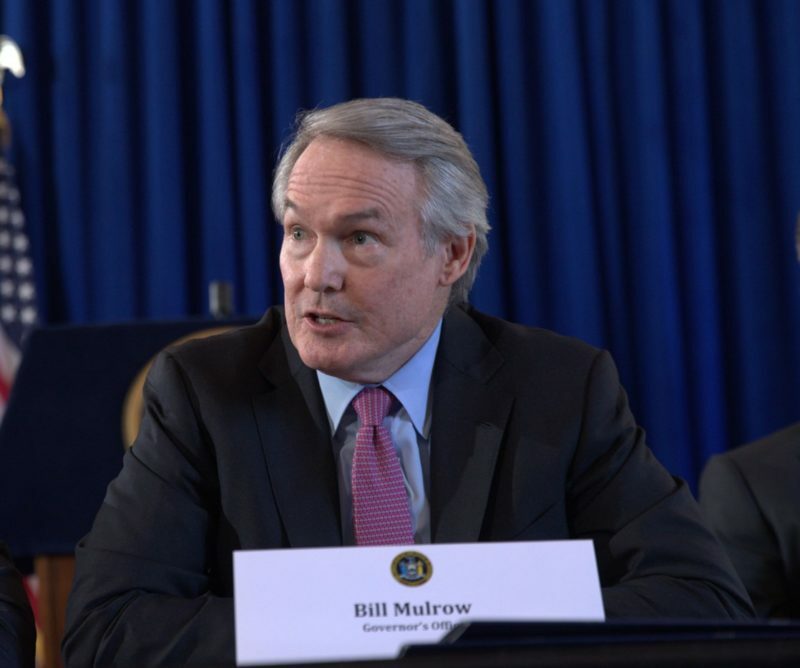 Despite the governor’s stated intent for cannabis legalization to empower poor communities, all these moves raise the question of whether the financial benefits will indeed go to the people most impacted by the war on drugs and the mass incarceration it spawned or to the traditional ensemble of well-connected corporate millionaires.